I just looked at my Discover Card and realized I’ve had the card for 10 years now. It’s my absolute favorite credit card for saving money. Their rewards are plenty, such as: 1% cash back on everything, 5% cash back on special categories per quarter (gas, restaurants, etc), ShopDiscover (my favorite is 5% cash back on apple.com purchases), and more. Those alone literally save me hundreds of dollars every year, just on purchases I would normally make. But there’s other benefits like automatic doubling of manufacturer warranties, purchase protection (loss or damage within 90 days), sending money via PayPal, and more. And did I mention that all of these benefits are absolutely FREE with no strings attached whatsoever. In other words, I have never paid a single cent of my money to Discover Financial, yet I have saved thousands of dollars over the past 10 years. Yes, it’s that good. 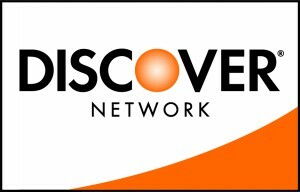 Discover does have some for-purchase services too like credit monitoring, identity theft, and so on. But I have never used any of those and can’t recommend them at this time. If you don’t have a Discover Card already, please click the link below to be transferred securely to an application page. You won’t regret it, this card is simply fantastic. I’ve even had to call customer service a few times and every single time I’ve been connected to someone who helped me right away. My card number was compromised once, and they called me right away after suspicious transactions started coming in. I was able to shut the access down immediately and had a new card in-hand a few days later. Every single transaction that I didn’t authorize was immediately reversed with zero hassle or expense on my part. Wow. Yah I use the card too it’s a good way to save money. As long as you pay it off. Yes that’s a great point, thank you! These types of credit card rewards are only useful if you pay the balance off IN FULL after receiving the statement. Otherwise the interest you’ll end up paying will be more than the value of the savings. Credit cards can be used wisely, but it takes some personal restraint and diligence. If you’re the type who will rack up lots of charges and pay it off over a few years, don’t bother with this offer or any other credit card related offer. Thanks for commenting and come back again soon.